. 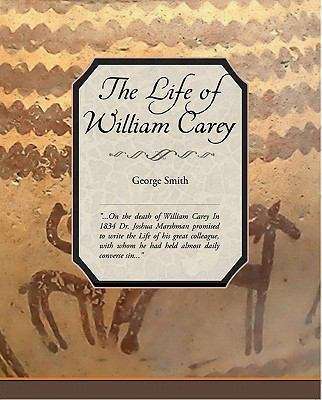 . . On the death of William Carey In 1834 Dr. Joshua Marshman promised to write the Life of his great colleague, with whom he had held almost daily converse since the beginning of the century, but he survived too short a time to begin the work. In 1836 the Rev. Eustace Carey anticipated him by issuing what is little better than a selection of mutilated letters and journals made at the request of the Committee of the Baptist Missionary Society. It contains one passage of value, however. Dr. Carey once said to his nephew, whose design he seems to have suspected, "Eustace, if after my removal any one should think it worth his while to write my Life, I will give you a criterion by which you may judge of its correctness. If he give me credit for being a plodder he will describe me justly. Anything beyond this will be too much. I can plod. I can persevere in any definite pursuit. To this I owe everything. . .